The promise of technology in learning has been long in coming. For decades public perception around technology’s potential to revolutionize learning has driven much of the conversation, for better or for worse. However, Microsoft is helping to accelerate this transformation with research driven tools that will increase access, efficiency, and knowledge around how best to deliver education services. This session will include a mix of new tools and research that building on evidence driven development of software that promises to democratize education around the world. 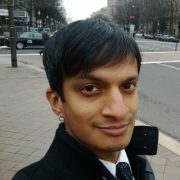 Rakesh Agrawal is a Microsoft Technical Fellow, heading the Search Labs in Microsoft Research in Silicon Valley. Rakesh is a member of the National Academy of Engineering, a Fellow of ACM, and a Fellow of IEEE. He is the recipient of the ACM-SIGKDD First Innovation Award, ACM-SIGMOD Edgar F. Codd Innovations Award, ACM-SIGMOD Test of Time Award (twice), VLDB 10-Yr Most Influential Paper Award, Computerworld First Horizon Award, NITIE Golden Jubilee Distinguished Alumni Award, and IIT-Roorkee Distinguished Alumni Award. Scientific American named him to the list of 50 top scientists and technologists in 2003. Rakesh has been granted more than 70 patents and has published more than 175 research papers, many of them considered seminal. He has written the first and second highest cited papers in the fields of databases and data mining. His work has been featured in The New York Times “Year in Review,” The New York Times Science section, and several other publications. Rakesh is well-known for developing fundamental data mining concepts and technologies and pioneering key concepts in data privacy, including Hippocratic Database, Sovereign Information Sharing, and Privacy-Preserving Data Mining. IBM’s commercial data mining product, Intelligent Miner, directly grew out of his work. His research has been incorporated into many other commercial and academic products, prototypes, and applications. Before joining Microsoft in March 2006, Rakesh worked as an IBM Fellow at the IBM Almaden Research Center. Earlier, he was with the Bell Laboratories, Murray Hill from 1983 to 1989. He also worked for three years at the Bharat Heavy Electricals Ltd. in India. He received the M.S. and Ph.D. degrees in Computer Science from the University of Wisconsin-Madison in 1983. He also holds a B.E. degree in Electronics and Communication Engineering from IIT-Roorkee, and a two-year Post Graduate Diploma in Industrial Engineering from the National Institute of Industrial Engineering (NITIE), Bombay.